It’s great to see a growing environmental awareness in Turkey. Local councils are encouraging residents to sort their garbage and take an interest in the recycling process – and the message is starting to get through. Bicycles are more in evidence on the streets of Istanbul – and not just the cheap supermarket model ridden by children and poor people who can’t afford a car. Activists are protesting about the loss of green areas to urban development projects. All this is laudable, but in any country (excluding Singapore and Monaco perhaps) urban conglomerations make up a small percentage of the total land area. What goes on in those rural areas is arguably of greater importance than what happens in cities. In the end, a city is a place where nature is sacrificed to the needs and comforts of technology and civilisation. It is not an exaggeration to say that the crane is one of the most prominent symbols of Anatolian culture. If we look only at music, we see the crane appearing in Musa Eroğlu’s folk song “Telli turnam selam götür sevgilimin diyarına…” (Oh my crane, carry my love to the lands of my lover…), or even in the group Yeni Türkü’s folk song “Telli Turna” (Demoiselle Crane). Biologist Ferdi Akarsu performed tireless research on these cranes of Anatolia for three years. 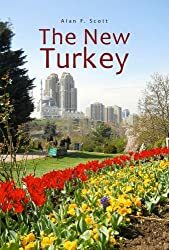 Interestingly, he came across 45 different folksongs in the Turkish Radio and Television Corporation (TRT) archive that deal with cranes. But are we talking just about folksongs? There are of course also sayings, carpets, hand embroidery and even religious ceremonies that include the crane. The “turna cemi” of the Alevis and the “sema” of the Mevlevis carry suggestions of this bird as well. So what has happened to our birds? According to field research begun in 2010 by the Nature Association (headed by Akarsu), there are just 12 pairs of breeding Demoiselle Cranes left in Anatolia. The number of juvenile cranes is just 19. 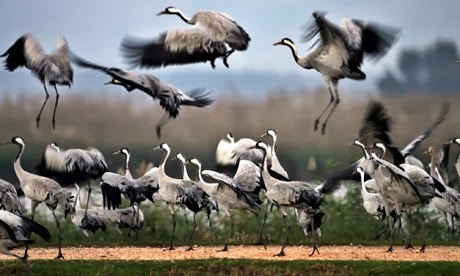 This research demonstrates that these cranes are disappearing faster than previously thought. Read more . . . This entry was posted in Alevi, environmental awareness, treasures of Turkey. Bookmark the permalink.